We are always keen to promote Dorset’s fascinating folklore and to bring this interesting subject to the attention of the general public. Our library exhibitions incorporating information boards of various legends and customs, and a diverse use of props gathered a great deal of interest from people of all ages. Today marks the start of our two week exhibition from 14th April to 25th April 2008, in the Dorchester Library. Here is a selection of pictures taken this morning. The exhibition celebrates the tenth anniversay of Dark Dorset, highlighting the rich customs, superstitions and traditions of folklore in the county of Dorset. The exhibition features a detailed display of artefacts, models, pictures and information on Dorset's folklore heritage featured in the books Dark Dorset Tales of Mystery, Wonder and Terror, Dark Dorset Fairies and Dark Dorset Calendar of Customs. Details of the exhibition can be found on our previous blog entry (10th Anniversary of Dark Dorset Exhibition, Sunday, 6 April 2008) including library times. 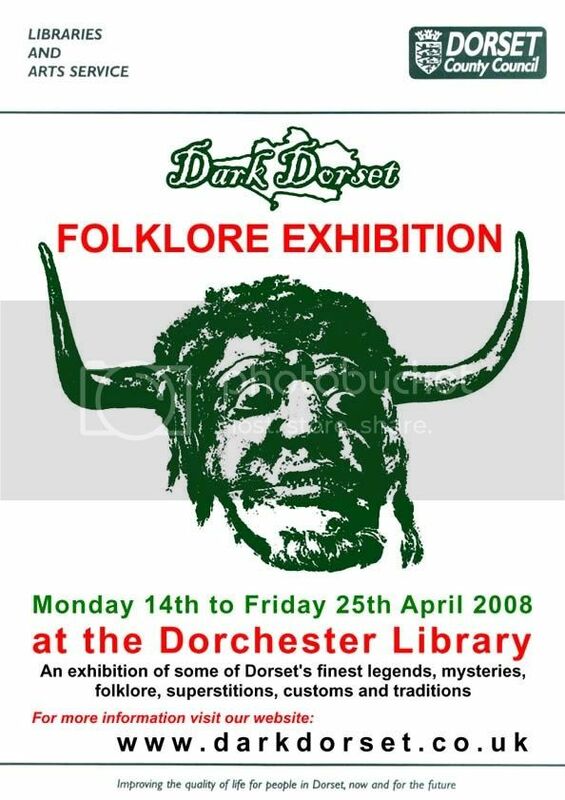 To celebrate 10 years of Dark Dorset, an exhibition will be held on the gound floor of Dorchester Library from 14th April to 25th April 2008. Highlighting the rich customs, superstitions and traditions of folklore in the county of Dorset. The exhibition will feature a detailed display of artefacts, models, pictures and information on Dorset's folklore heritage featured in the books Dark Dorset Tales of Mystery, Wonder and Terror, Dark Dorset Fairies and Dark Dorset Calendar of Customs. 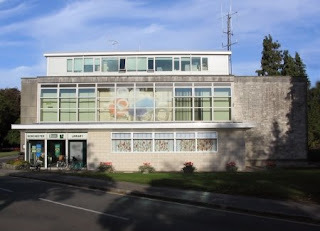 You might be afraid or even very afraid to visit Dorchester Library from Monday when Dark Dorset celebrates its tenth anniversary with an exhibition devoted to the spooky and weird side of life in the county. Folklorist Robert Newland, who started Dark Dorset with co-author and illustrator Mark North, will be stocking the library's exhibition case with boards and items relating to shivery topics like witchcraft, fairies, customs, superstitions and good old ghosts. The exhibition is on for two weeks and will feature a reference to St George's Day, which is on April 23. Robert is sure that people will be fascinated not frightened and says reassuringly that the screaming skull that forms one of the centrepieces is silent and well-behaved. Find out more on the www.darkdorset.co.uk website.